If you need to use your wheelchair all the time, getting the right chair is extremely important. Afterall, limited mobility should never stop you from doing anything. 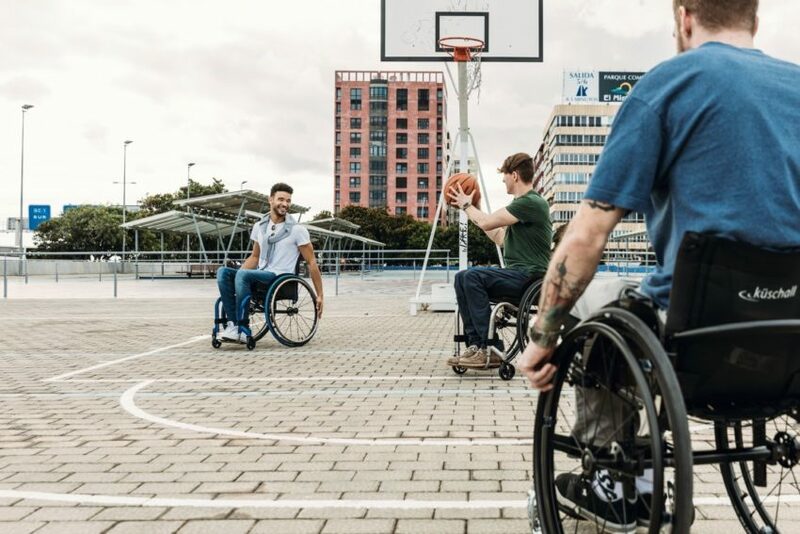 So whether you’re in the office, going out, playing sport or looking after the kids at home, you need to choose the wheelchair for active people. Here, we’ll run you through some of the features, styles and specs to look out for, along with some of our recommendations. 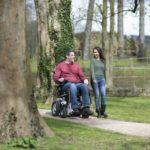 Before your start shopping your your ideal wheelchair for active people, you need to make an important decision: do you want a bespoke or fitted wheelchair? This seems like a difficult question, as the words appear to have similar meanings. However, there are important differences. A bespoke wheelchair is a chair that is made specifically for you. When you buy your wheelchair, the dealer will take your measurements and send them to the manufacturer. The manufacturer will then make a chair that is constructed specifically for you. This means that the parts will be welded in place. A bespoke chair is a great option for users whose bodies are unlikely to change, and want strength and stability. Fitted wheelchairs – not to be confused with bespoke chairs – are adjustable. Similarly to a bespoke chair, you will visit your dealer and they will take your measurements. However, when the manufacturer builds your chair, they will select existing parts which they think will best suit you. From here, they use built-in adjustments to tailor the chair to your body. This is useful for people who may experience changes in their needs, such as those who’ve recently sustained an injury. If you’re an active wheelchair user, the handling of your manual wheelchair will be very important. Whether you’re exercising, socialising or working, you need a chair that’s thoroughly functional. Therefore, a good feature to look out for is a high-tech, lightweight frame. Wheelchairs constructed from titanium or carbon fibre are a particularly good choice, as the lightweight metals will substantially improve ease of movement. Available in both carbon and titanium, Küschall’s Prestige range is a sleek, high-performance option, available for both the K-Series and Champion models. Even if you’re a high active wheelchair user, comfort will still be central to your choice. Therefore, look out for chairs which offer ergonomic seat design, which will promote good posture. Furthermore, if you use your chair around the clock, a very important aspect of your ideal wheelchair’s design will be preventing pressure ulcers. Pressure ulcers are a serious health risk, and so it’s important to make sure your chair minimises the risk. The seat design on chairs like the Küschall Advance use cutting-edge design to distribute pressure. For instance, the seat of the wheelchair features tension adjustable straps to promote good posture and distribute pressure. 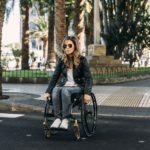 If you’re looking for a wheelchair for active people, is likely you’ll be looking for good design that makes a chair as functional as possible. Therefore, if you’re going down the route of buying a fitted wheelchair, look into your options for easy transport. For instance, models like the Küschall Compact fold down to as small as 29 cm across, making it a great chair for travel. Furthermore, if you’re looking for a compact, sleek chair, sometimes less is more. For example, there’s no need to get a chair with handles if you never need any help moving. In addition, getting a chair with a low back can be an advantage. This is because a lower seat back means you have greater upper body mobility, whilst promoting good posture and a stronger core. For example, bespoke chairs like the Küschall KSL are available with a range of backrest options, including low backs for active people. 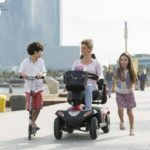 Swiss manufacturers Küschall are second to none when it comes to wheelchairs for active people. 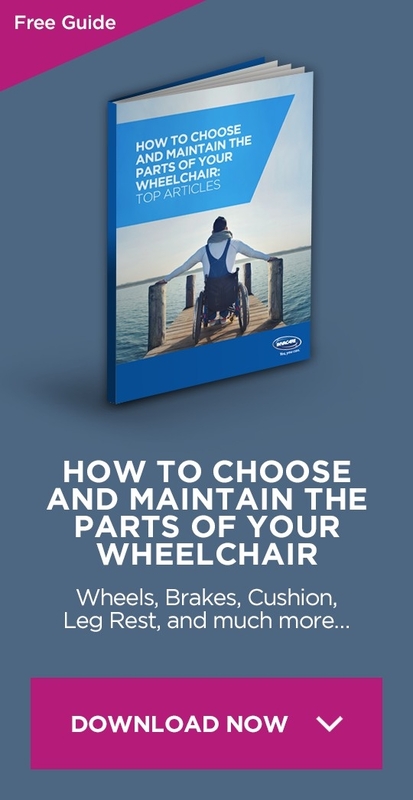 With a huge range of models, options, specs and colours, Küschall should be the first stop for your ideal manual wheelchair. Click here to find your nearest Küschall’s dealer.